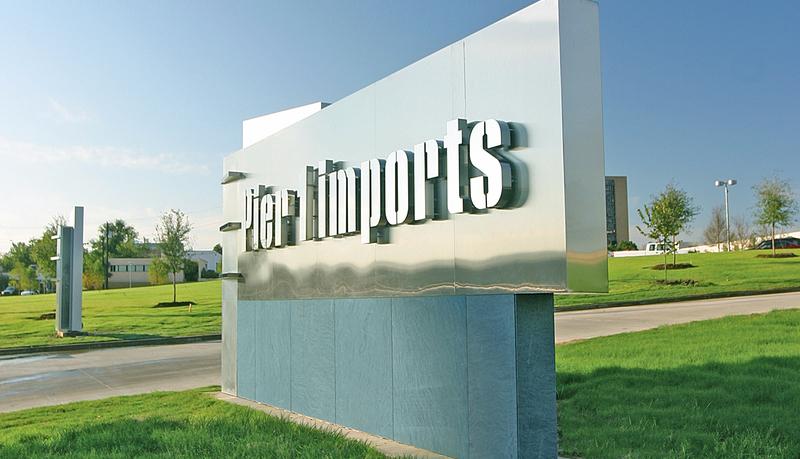 Pier 1 Imports is a global importer of decorative home furnishings and gifts. 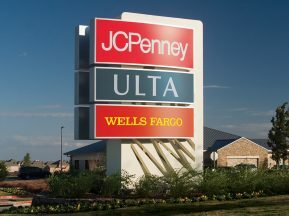 Starting with a single store in 1962 it has grown to over 1,000 locations in the U.S. and Canada with their products also being sold at select Sears stores in Mexico. 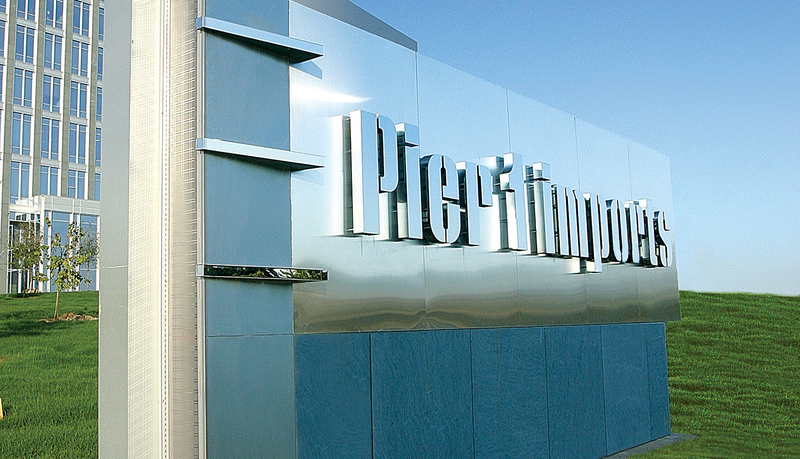 They offer customers distinct home furnishings and décor at a good value with their merchandise constantly evolving based on relevant trends. 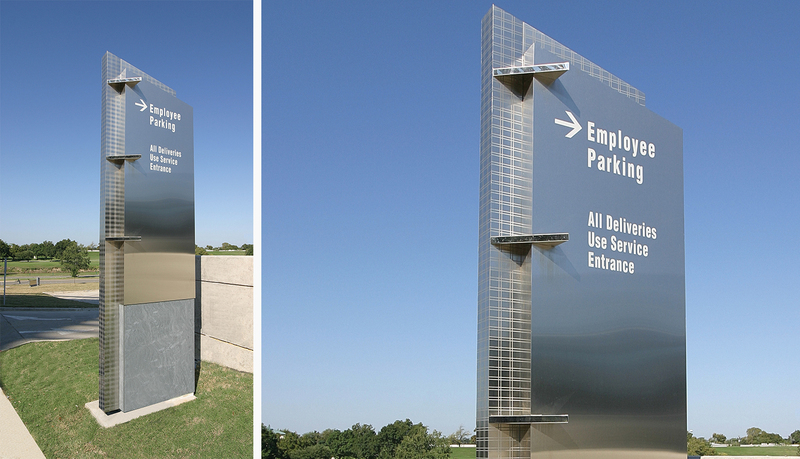 ASI worked with FMG Design, Inc., the environmental design group on the new Pier 1 Imports corporate headquarters, to provide manufacturing and installation of FMG’s sign designs. 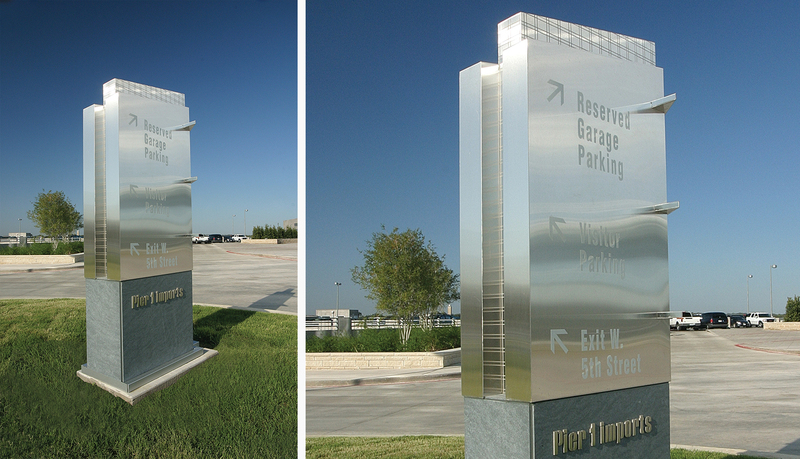 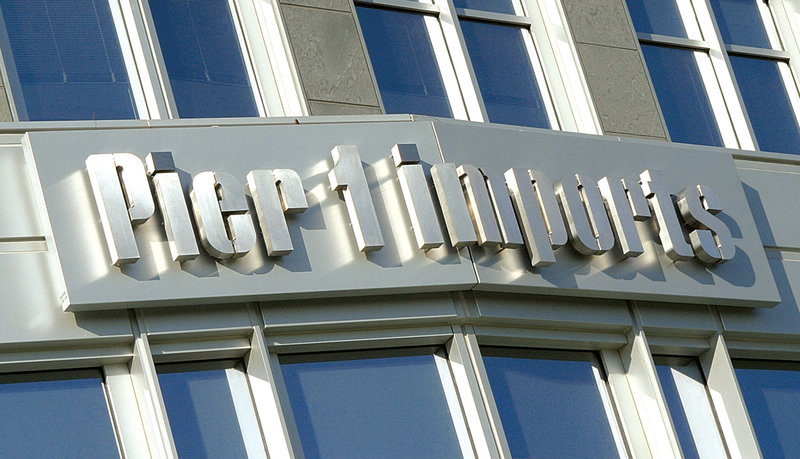 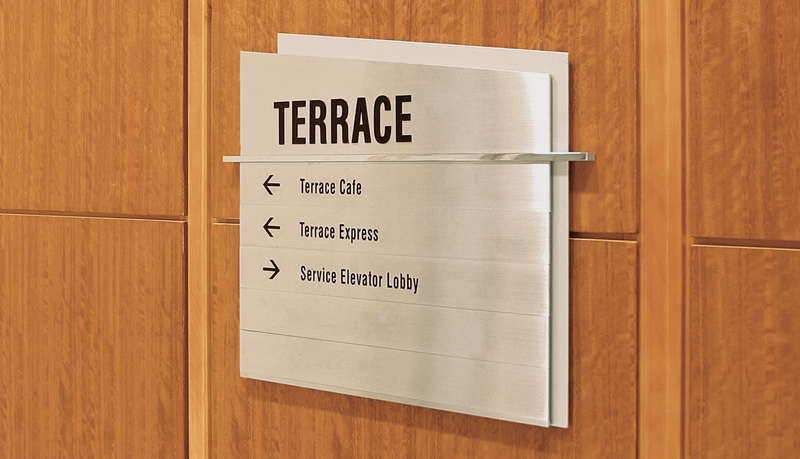 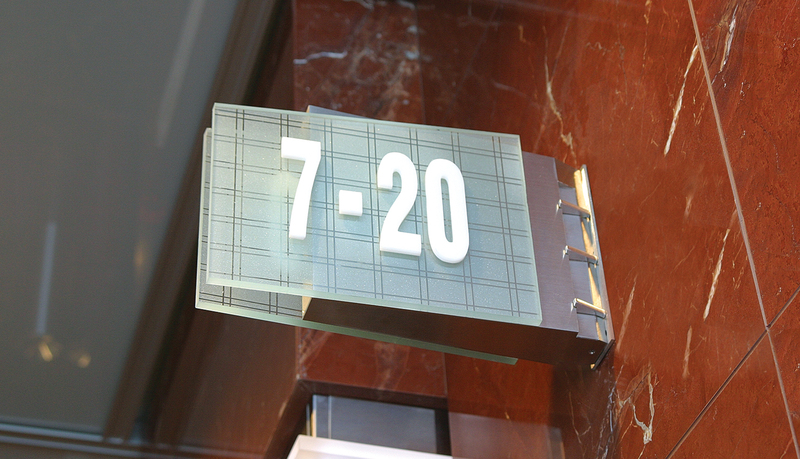 The signage was designed to match the glass and steel skyscraper architecture and to feature Pier 1 Imports’ corporate brand identity. 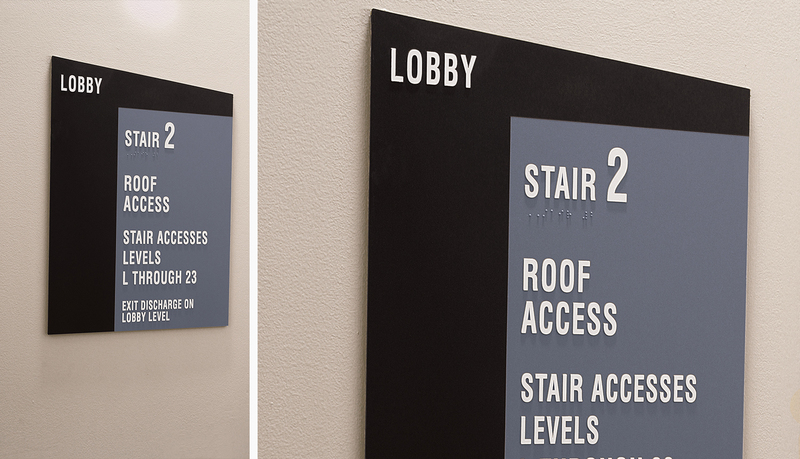 ASI consultants worked with FMG Design, Inc., the environmental graphic designers, and Pier 1 to bring the signage designs to life. 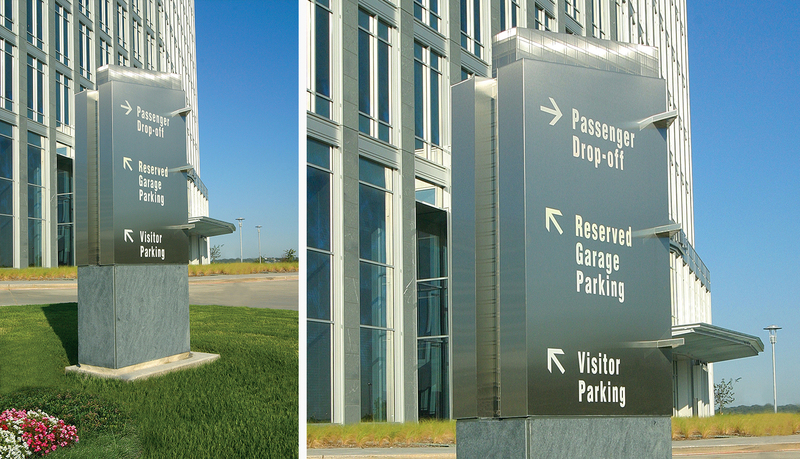 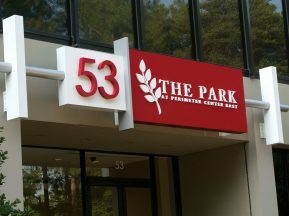 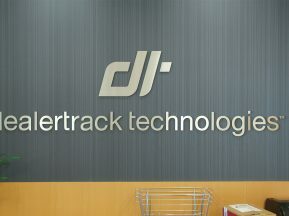 The solution included interior and exterior signage, with illuminated exterior monument and dimensional letters. 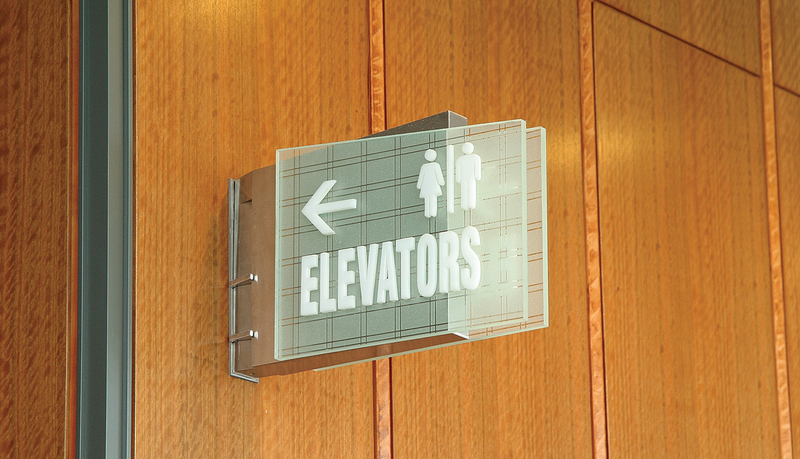 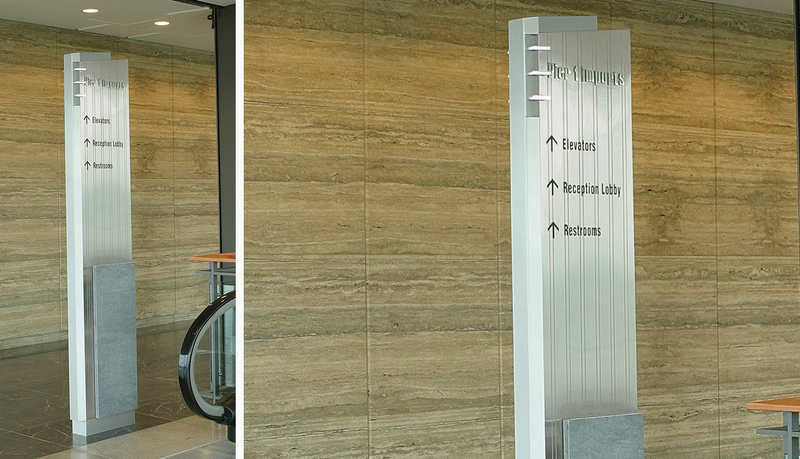 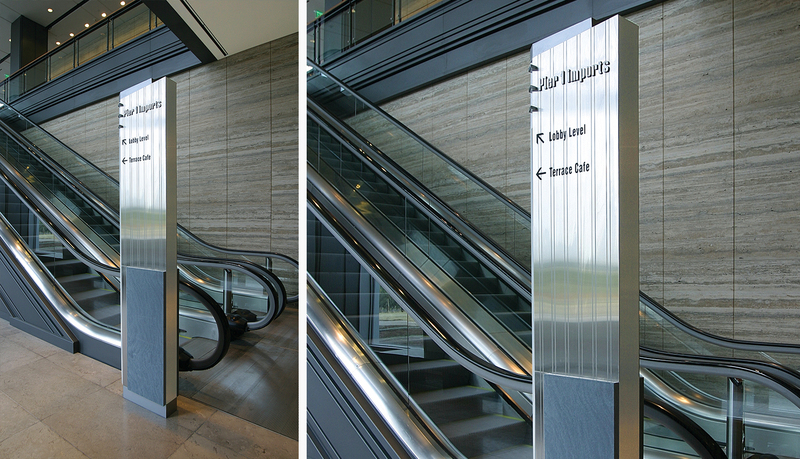 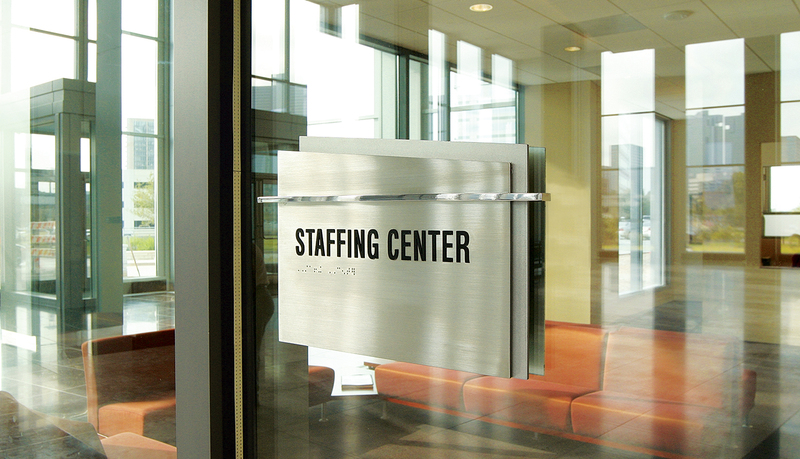 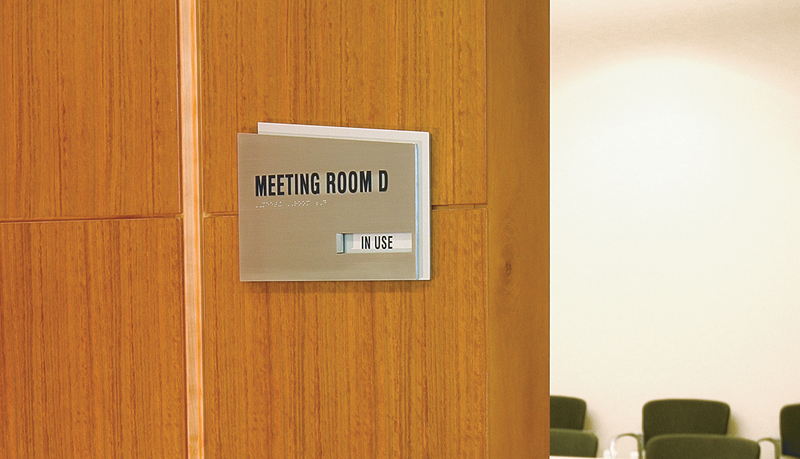 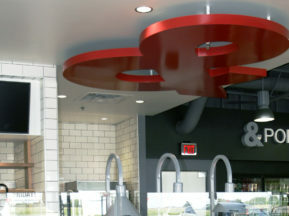 The signs included brushed stainless steel, polished aluminum and patterned acrylic in lieu of glass to help with weight considerations. 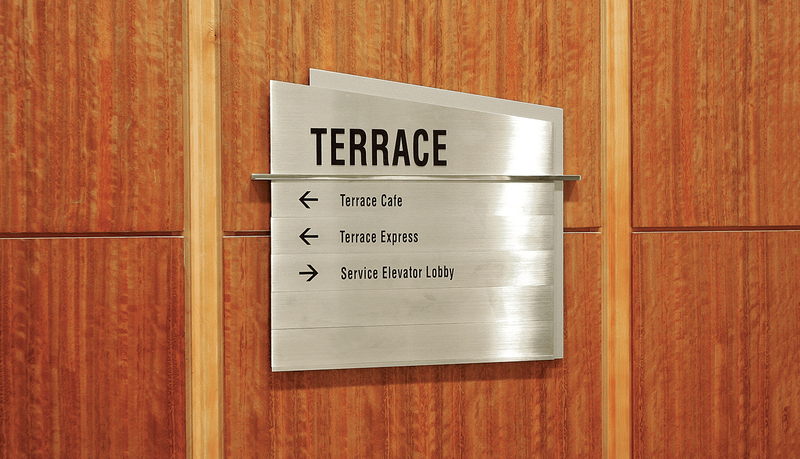 Marble used on the exterior signs came from the ancient Roman-era quarry in Italy. 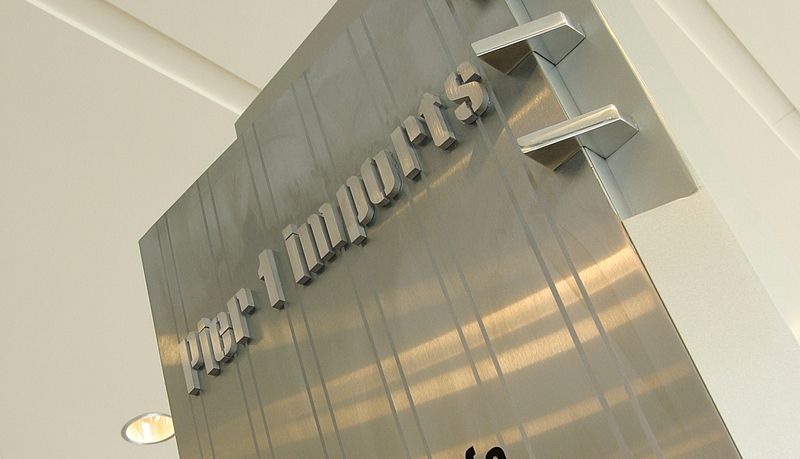 The signage has promoted the Pier 1 brand and has been a vital part of communicating Pier 1’s identity and has appeared in print and broadcast media.